First, do your research; there are different varieties of roses which you might want to look into before you start planting. You need to purchase the proper gardening tools and supplies. Decide on where you would like to plant the bush. A suitable soil ph level is 6.3 – 6.8. A good way of looking for the right soil is to walk over the area with good drainage. If the soil is damp but not waterlogged, it is ideal. Soak the plant’s roots by placing the plant in a bucket of water for a few hours before planting. Prepare a large hole about 18 inches wide and 18 inches deep. Next, you place the bare potted rose on top of the mound. Use the shovel to fill the hole back with the soil. The rose bud’s union should be located 2 inches below the surface of the ground. Place the mulch over the area where you planted the rose. If you planted a potted bush then place it around the stem. This keeps the temperature consistent and protects the roses during its initial stages. Roses have modest water needs, which reduce their demands on the environment. Homeowners, who plant roses may not need to install automatic sprinklers and can instead rely on natural rainfall or occasional watering. For flowers that are so high in demand, roses are very low maintenance. All the more reason to start planting them in your garden, and reap the benefits! About the Author: Amita Vadlamudi a former Computer Programmer enjoys flowers and gardens. 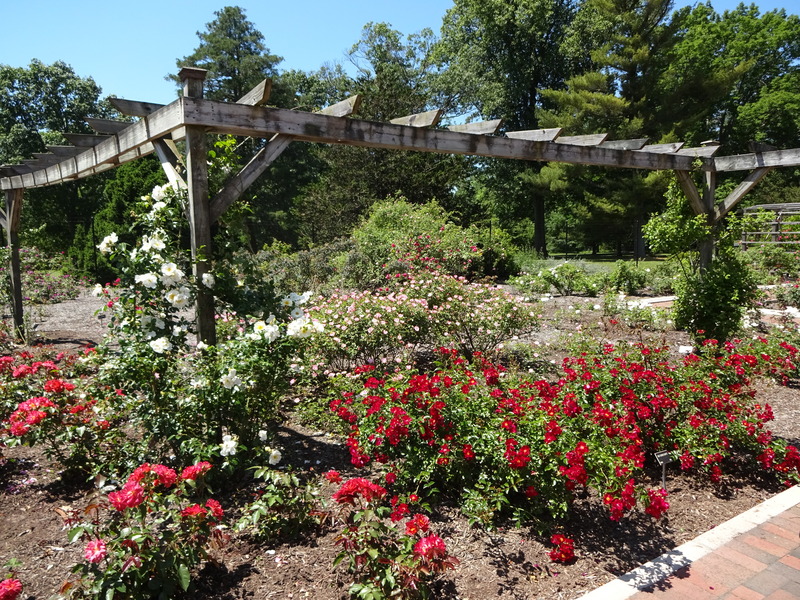 Amita Vadlamudi is particularly fond of roses and as such takes special interest in rose gardens. This entry was posted in Uncategorized and tagged Amita vadlamudi, Gardens, Rose Gardens, Roses on February 3, 2018 by wpadmin.